This year, National Volunteer Week is April 15-21, 2018. 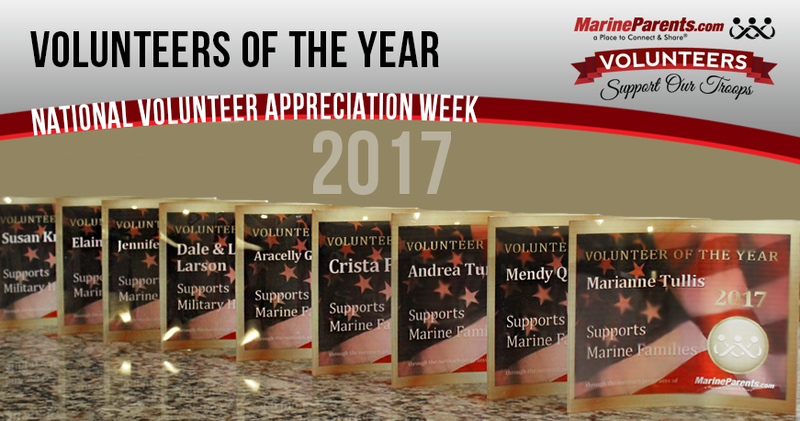 MarineParents.com would like to take this time to recognize our volunteers of the year for 2017. Jennifer is the Group Leader for the Official MarineParents.com Facebook Group Charlie Company Parris Island and is the Parris Island Assistant Coach. 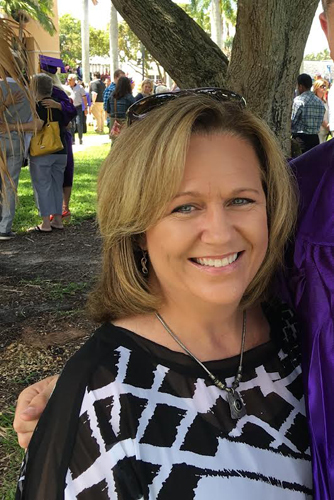 She is a very proud Marine Mom from Fort Myers, Florida who has been a Marine Parents volunteer since October of 2016. Jennifer's Marine is the first in her family to join the military. She loves providing the encouragement and support to others who have a son or daughter going through the boot camp journey. Jennifer also helps train new volunteers that work in our Facebook recruit groups. In 2017, Jennifer volunteered a total of 809.81 hours. Mendy came to MarineParents.com as a volunteer in early 2011 and hired on staff in late 2011. Mendy's favorite color is purple, and she loves horses, enjoying riding on Fridays. Mendy's work at MarineParents.com is very important to her and she loves being a valued member of our team. In 2017, Mendy volunteered a total of 102 hours. Lori and Dale are the managers for one set of Warrior Support Team (WST) volunteers on the west coast. They became Marine parents in 2009. In 2011, a family friend wrote to Dale and Lori, asking if they could visit the son of a friend of theirs who was seriously injured in Afghanistan. After visiting this Purple Heart recipient at the Naval Medical Center in San Diego, Dale and Lori contacted MarineParents.com to see if there were any services available in San Diego to help support this young Marine, his wife, and their daughter. MarineParents.com put Lori and Dale in contact with our Warrior Support Team outreach program (then Purple Heart Hero Support) in San Diego, and they began volunteering with them, serving dinners to the Wounded Warrior Battalion in the barracks, and later to the patients and families on the surgical recovery floor. In 2014, Lori and Dale became the managers of this west coast team. While volunteering with MarineParents, Lori and Dale have enjoyed not only the weekly dinners, but also assisting at wheelchair basketball games and day trips to Knotts Berry Farm for the Wounded Warriors and their families. In 2017, Dale volunteered a total of 276 hours and Lori volunteered a total of 320 hours. Susan is the east coast manager for our Warrior Support Team (WST) and works with a group of dedicated volunteers who serve dinners to wounded and recovering warrios and their family members at the USO and hospital at Walter Reed National Military Medical Center in Bethesda, Maryland twice a month. Susan's group also distributes educational materials and resources about reintegrating into civilian life. Susan's team serves about 200 meals a month. We would like to thank Susan for serving as our east coast WST manager, as well as being on the Marine Parents board of directors in 2017. In 2017, Susan volunteered a total of 55.25 hours. Marianne has been volunteering in Official MarineParents.com Facebook Groups since October, 2015. 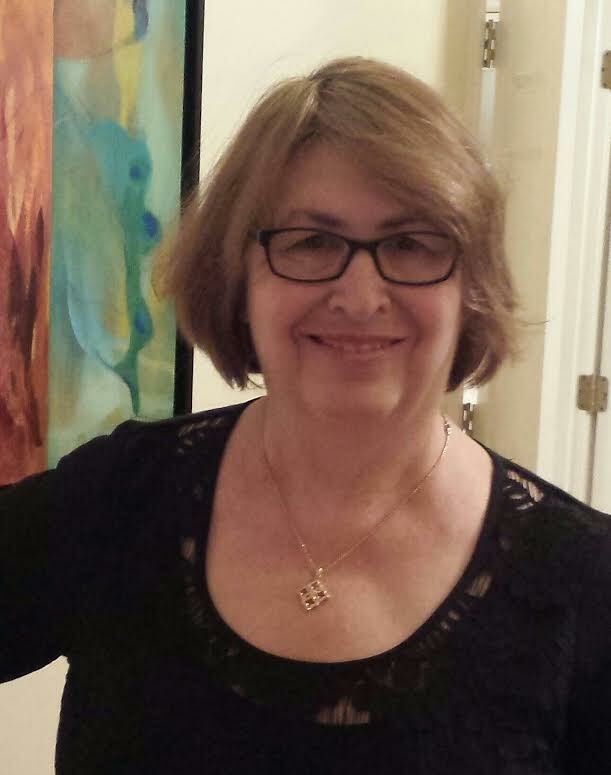 She is now the Group Leader in our Grandparents Group and is the coach for our 2nd Battalion San Diego volunteer team. 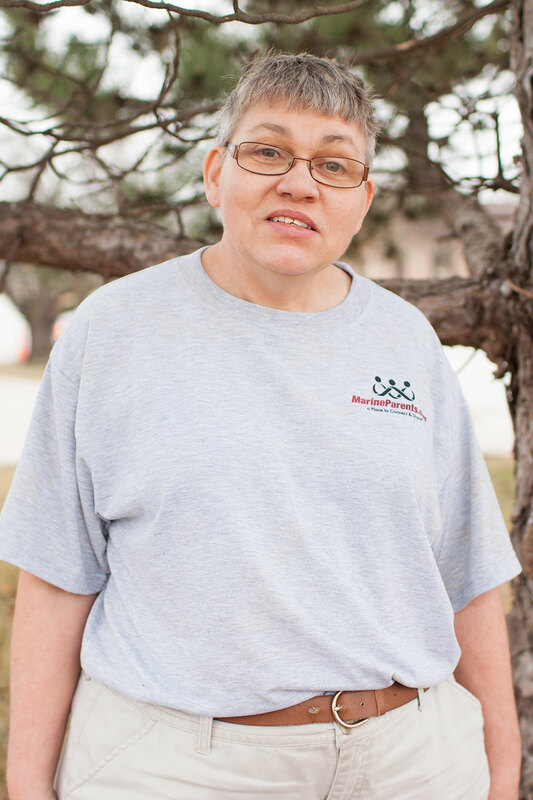 Marianne has been married for 23 years and is the super proud mom of three adult children, the stepmom to two stepchildren, and a grandma to nine grandchildren and one great grandson! Marianne is also a member of Team Marine Parents (TMP) and has participated in the Marine Corps Marathon two years in a row. 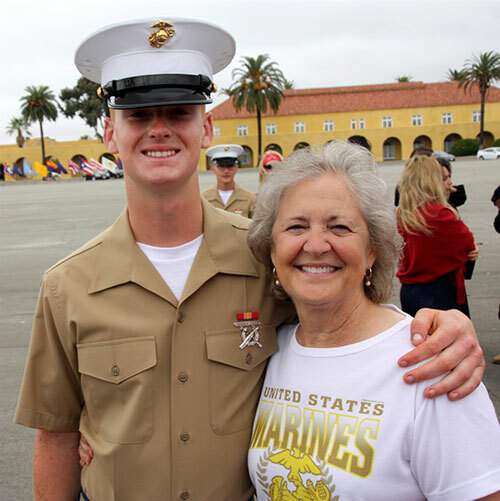 As a TMP member, Marianne spreads awareness of and fundraises for the outreach programs of MarineParents.com. 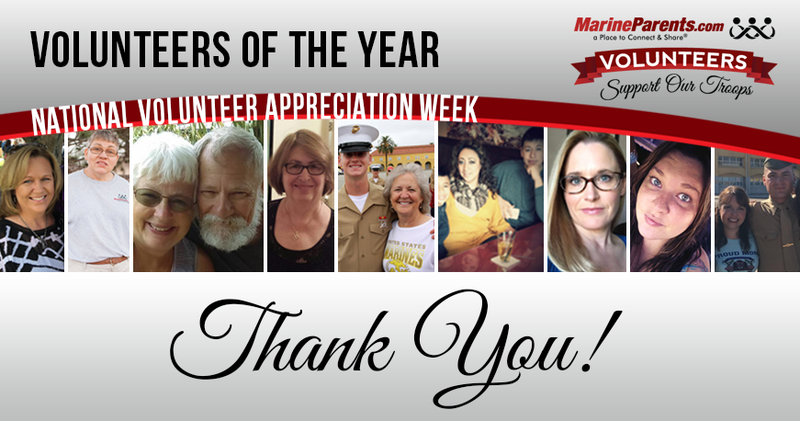 In 2017, Marianne volunteered a total of 747.24 hours. Aracelly has been volunteering in our Official MarineParents.com Español Facebook Groups since 2015. She serves as the Group Leader of both groups: Recruit Parents en Español and Marine Parents en Español. She supports other families members in the Espanol Group. She enjoys educating her community and supporting other Spanish-speaking recruit/Marine family members. 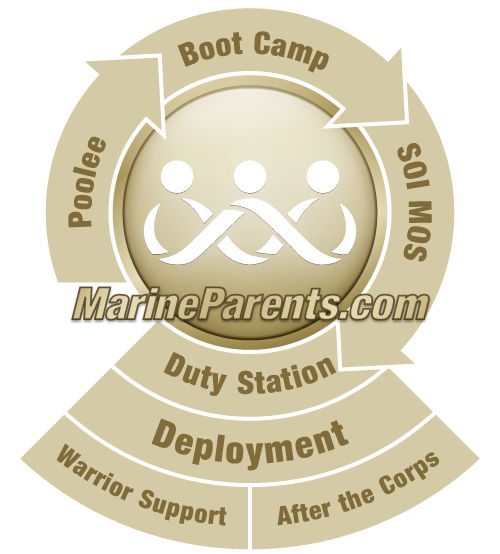 Her Marine son is currently stationed at his PDS (Permanent Duty Station). Her Marine had the passion of becoming a U.S. Marine ever since he was 13 years old. In 2017, Aracelly volunteered a total of 614.88 hours. Andrea has been a volunteer for MarineParents since August 2016 and currently serves as a Group Leader for the Recruit Support Battalions, STC, MRP and PCP and the MOS group. She is also the coach for our What's After Boot volunteer team. 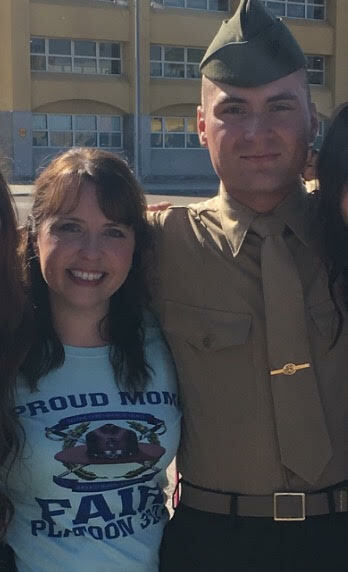 When Andrea's son was hospitalized during recruit training, she was on the receiving end of a great deal of support from other recruit and Marine family members through the Official Marine Parents Facebook Groups. 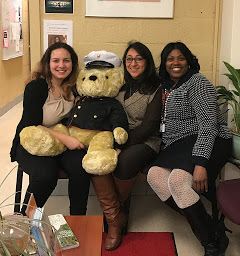 This outpouring of support ultimately inspired Andrea to volunteer herself, as she wanted to be able to provide that same kind of support to other families navigating the recruit process. In 2017, Andrea volunteered a total of 1,202.85 hours. Elaina currently serves as a Group Leader for the Girlfriends, Fiancées & Wives of Recruits/Marines. As a Group leader, Elaina keeps members involved with a daily topic as well as daily military terminology. Elaina has been married to her Marine for more than six years. Elaina is very proud of her husband on his decision to join the United States Marine Corps and supports him to the fullest. Elaina and her husband also have a son together who, "is equally proud and says when he grows up, he wants to be a Marine like daddy." She decided to volunteer for Marine Parents because she wants to help people out that are in a similar situation to hers. Elaina enjoys helping, encouraging and motivating others. She feels that volunteering on behalf of Marine Parents is the best way to achieve this. In 2017, Elaina volunteered a total of 630.61 hours. 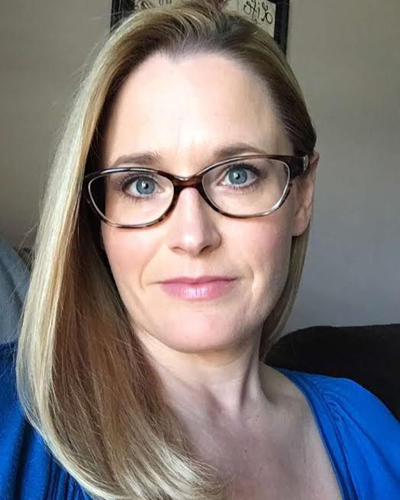 Crista has been a volunteer with MarineParents since October of 2015, and is now the coach for our Official MarineParents.com Facebook State Groups volunteer team, as well as the content coordinator for all of our groups. Crista is a granddaughter of a Marine, a VERY proud Mother of a Marine, and a proud Marine mother-in-law. 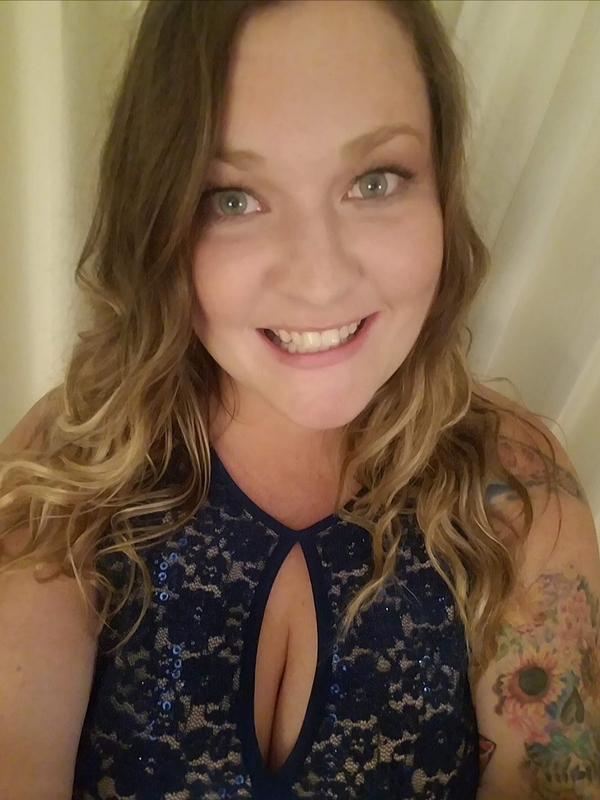 According to Crista, "there is just something very special about helping other families get through the Recruit period and beyond; to be able to offer support, advice, and information, to help ease the angst we all felt while our recruits are in boot camp." In 2017, Crista volunteered a total of 837.94 hours.